Coles Financial Services is a provider of home and contents insurance, car insurance, credit cards, life insurance and travel insurance. Here’s a snapshot of Coles home and contents insurance policies for policy holders aged below 50 years, whose total claimable amount is below $550K in New South Wales. 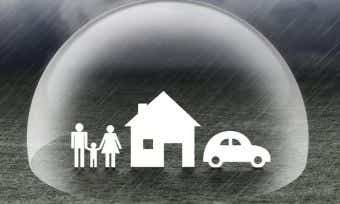 To compare other home and contents insurance policies, click here. What do Coles home and contents insurance policies cover? Coles lets you choose from home insurance, contents insurance or a combined home and contents insurance policy. All come with several bonuses such as discounts and extra benefits for combined cover, as well as fast policy access. What’s the difference between Coles building insurance and Coles contents insurance? I’m currently renting. 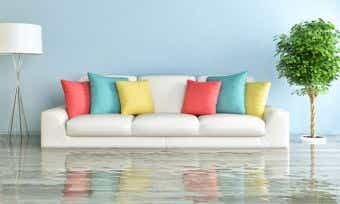 Do I need Coles home insurance? I’m a landlord. Do I need Coles home insurance? How much Coles home and contents cover should I take out? 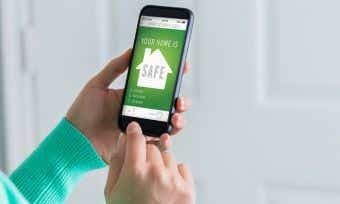 How do I make a claim if I have Coles home and contents insurance? You can make an insurance claim by calling Coles’ phone hotline on 1300 265 374 and talking to one of its dedicated customer service representatives. Coles Home and Home Insurance Plus are underwritten by WFI Insurance Limited, which is part of Australia’s largest insurer, Insurance Australia Group (IAG), and has more than 160 years of insurance experience. You can download the Coles Insurance Claims Assistant App on the Apple iTunes store. Charitable contributions: Coles follows the international London Benchmark. In 2014-2015, Coles’ direct support of charity partners was $36.55 million, and its customers, team members and suppliers raised an additional $7.24 million. Coles’ national charity partners are: RedKite for children with cancer, Bravery Trust for veterans and their families, SecondBite and FoodBank for feeding disadvantaged, Aussies Red Dust for Indigenous youth, Guide Dogs Australia for the blind and the Cancer Council’s Daffodil Day for cancer research. Australian-grown: 96% of fruit and vegetables and 100% of meat, milk and eggs are Australian sourced. Animal cruelty ethics in suppliers: All beef meat has no added hormones; all chicken meat comes from RSPCA approved farming; all pork is sow stall free; all Coles brand eggs are cage-free; all Coles brand seafood comes from sustainable fisheries and aquaculture farms. Fairtrade ethics for workers: Coles won the 2014 and 2013 awards for Fairtrade Retail Chain of the Year. The production of Coles’ MIX Apparel clothing brand is outsourced to Cambodia, and Coles provides a free healthy meal every day to each of its 850 workers at the AbleMax factory, to make sure they get enough nutrition. Check out Coles’ YouTube channel for sweet treats – all year round!